It’s finally here! The biggest weekend of the Elite League season is upon us and fans from all 11 teams are converging on the city of Nottingham for two days of pure hockey debauchery. So, let’s take a look at the four teams left who will be the focus of the action, who we think could be the winners and how they all got here. A big weekend starts right here! A second year in charge is coming to an end for Keefe and it could be one to remember for him if his side can complete the Grand Slam. 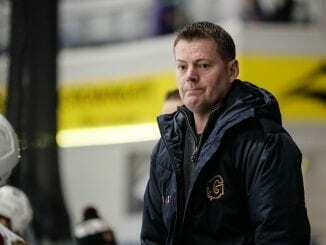 Having led them to the Elite League title, Challenge Cup and the Erhardt Conference, not to mention coming so close in the Continental Cup, Keefe has really grown as a coach in a short space of time. Can he complete the journey with a clean sweep? Tyler Beskorowany has been a standout between the pipes, but Smotherman has been a real find since arriving at the start of February. Notching 22 points in 23 games is a good record, given how late he came into things and the timing of his goals in particular matches shouldn’t be unnoticed. A real danger. 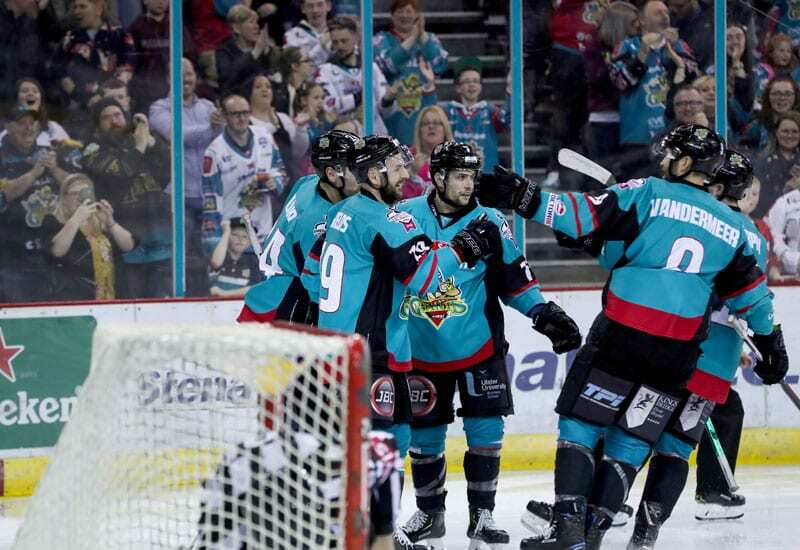 Anything that could have gone right for Belfast Giants has this season, from retaining the Challenge Cup to doing enough to wrench the Elite League title out of Cardiff Devils’ grasp. Keefe’s recruitment has been bang on and even the changes he had to make because of players leaving, he has replaced well and each and every one of the players wearing teal have contributed to an amazing season. Now it’s one final push, but they won’t get it easy from Guildford in their semi final. If they can make it past them, an even greater challenge awaits in the final. Most definitely and considering the form they’ve been in all season, there’s been no let up in the intensity. We’ve seen champions who have clinched the title with a couple of weeks to spare loosen their sticks. Giants winning it as late as they did may help them here and two games can make them history makers. Lord has been in the depths of despair and the heights of success in his six years at the club and his five years as coach have been certainly more trophy laden than most. A chance to end the season with something to show for Cardiff’s efforts will be at the forefront of his mind as Lord looks to add another trophy to his bulging trophy cabinet. Can Devils earn some redemption on a campaign that has delivered little? Always a man for the big occasion, this is just the kind of event that brings out the best in the GB goalie and could play a key part in Cardiff’s hopes of retaining the play-off crown they won last year. Devils are flush with scoring in all four lines, but as the old cliché goes, locking it up at the back is the foundation to success and that’s where Bowns comes in. 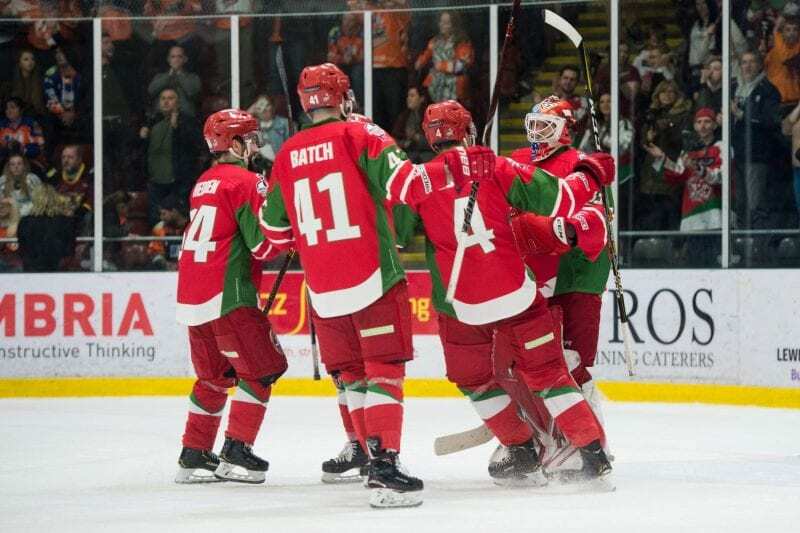 After winning the league and the play-offs, Cardiff immediately set about looking to create history in becoming the first team in EIHL to win three straight title – a “three-peat” if you will. However, a surprising final day loss to Coventry Blaze in the regular season saw the title slip from their grasp, into the waiting and grateful arms of Belfast Giants. 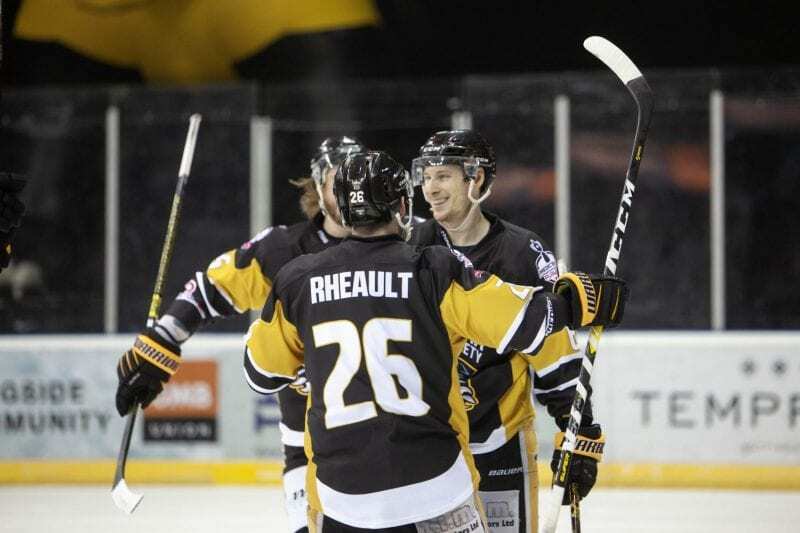 The road to redemption began with a quarter final win over Sheffield Steelers last week, with Nottingham Panthers standing in their way of a third consecutive play-off final. Absolutely they can and one thing Cardiff do well is recover from disappointing losses. The manner of the title loss is giving them their biggest challenge this season and they are capable of overcoming it to take the crown. 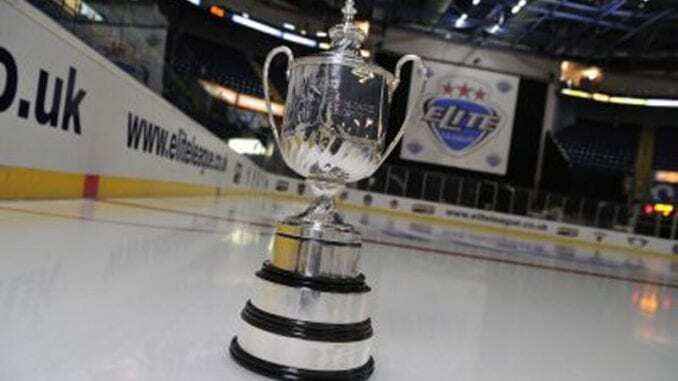 Nottingham is a stern test, but if Belfast are the team in the final, it might be a battle too far. Surely a contender for Coach of the Year along with Adam Keefe for taking what was a good Guildford Flames team and making them even better as they prepare for their first Elite League play-off weekend. Dixon has grown into life in the Elite League seamlessly and although they can be considered underdogs for this particular event, don’t be surprised if they can, at least, find their way into Sunday’s final. Reddick has enjoyed another good season with the Flames and led the Elite League scoring for a large part of the campaign. He can turn up in and around the crease without noticing and has an eye for the goal. Only picked up six points in last 10 games, but could burst into another hot streak at any time. 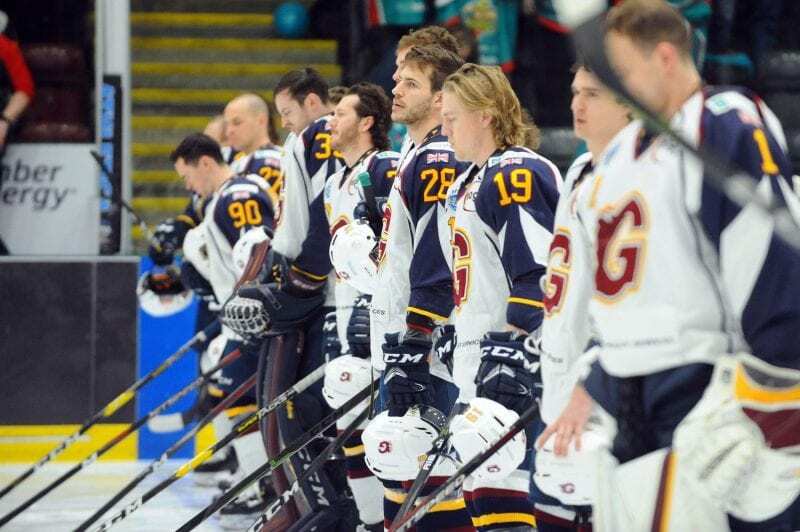 If you had offered Guildford Flames a top half finish, a place in the play-off finals, going all the way to overtime in the Challenge Cup Final and a Patton Conference trophy, they have picked a couple of those. But that’s the season they’ve had as Guildford kept the core of their team from last season and turned them into a force to be reckoned with and one to certainly watch. All they need is a major trophy to really taking a fantastic campaign to the next level. We really want to say yes to this, but it’s hard to see past one or two of the other teams taking part this weekend. Being underdogs will bring support from other team’s fans in the league and having beaten all the other teams at some point this season, you can’t rule them out. It’ll be a big ask for Flames. Took over in January from Rich Chernomaz and over time, has turned some disappointing form into wins, eventually climbing to a creditable third place. Strachan has been over this course before as assistant to Corey Neilson, but it’s his first time as his own man and success here could see him handed the job for a longer term, but even that’s not certain. For most of the season, the Panthers netminder has had to play second fiddle to Michael Garnett and when he has been called upon, has done well in the net. Recently, two shutouts has seen Strachan’s faith in him repaid and perhaps presents a good headache for the coach over who plays on Saturday against Cardiff Devils. If it is Munson who gets the nod, then he’s have earned it. With the form Panthers had in the middle part of the season that saw Chernomaz moved on, finishing third place when Rick Strachan stepped up was unthinkable. 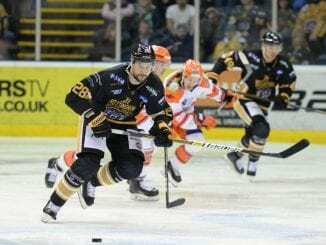 Despite that, they never really went away and with Glasgow Clan having their own wobble at the tail end of the season, it allowed Panthers to take it back as they started to find their form. They overcame Fife Flyers over two legs last week to book their place and could end what’s been a topsy-turvy campaign with silverware. Now that really would be bonkers. They can, but they won’t. Home advantage, no matter how you try and neutralise the event, does give the Panthers something of a lift in terms of the crowd, but Cardiff are on a mission to salvage something from the season. That said, Panthers have beaten Devils in their meetings on this ice this season so maybe not as clear cut as we think.